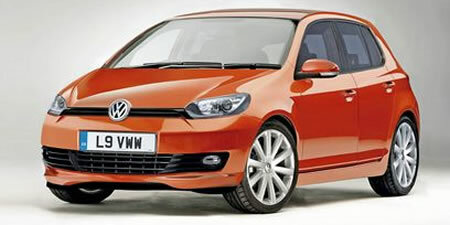 A renewed Volkswagen Polo hatchback and a sedan based on the Polo will roll out of VW's Chakan Plant in Pune in 2010. VW's Chakan plant will start functioning in April, producing sister compan Skoda's Fabia, a year before original intentions. The underlying structures of the Skoda Fabia will be used to make the Polo and Polo sedan. The refreshed VW Polo will be shown to the world at Geneva this year. This car will be manufactured in places like India and Brazil where there is more demand for small cars. Apart from selling it locally, VW also has export plans in mind. The sedan variant will come later next year. Both the cars will be displayed at the Delhi AutoExpo next year. The refreshed cars will borrow styling cues from the Scirocco concept. It will also be a better car in terms of design, performance and interiors. Expected under the hood is a 1.2 petrol, 1.6 petrol and 1.6 diesel engine. We'll keep you updated on spy pictures, scoops and official releases. So stay tuned to Indian Autos Blog.